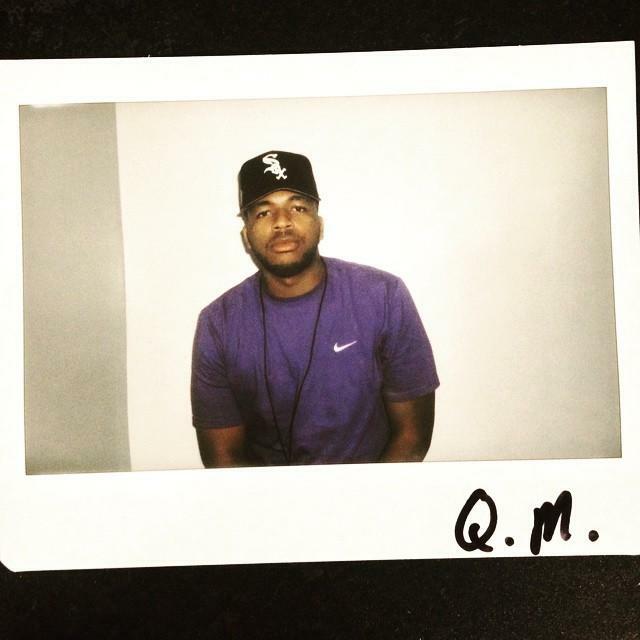 Everything you need to know about Drake's writing partner Quentin Miller. 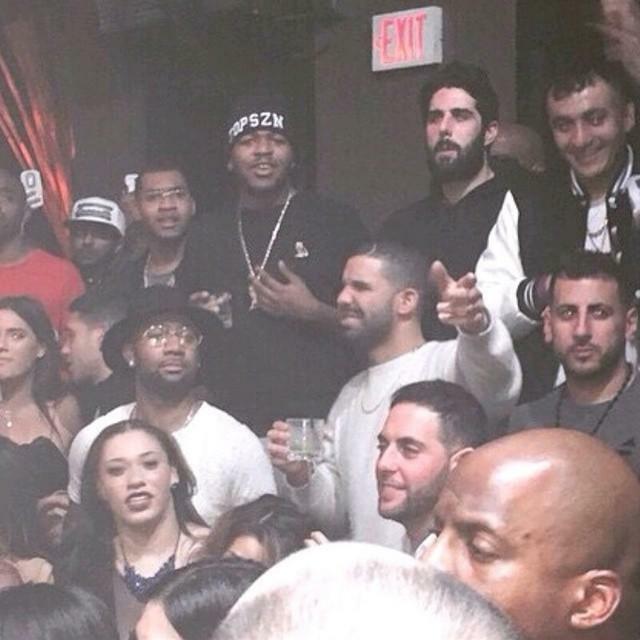 Last night, Meek Mill announced to the world that Drake's verse on their collaboration "R.I.C.O." was in fact written with the help of someone else. This isn't "news" per se, as Quentin Miller (the writer in question) appears in the song's credits, but Meek said he had only recently found out, or else he "woulda took it off my album." Despite the sense of betrayal that Meek seems to feel about this, Drake's been doing this for years, enlisting guys like Kia Shine and Nickelus F (both of whom had much more knowing reactions to Meek's tweets) to write with/for him in the past. "R.I.C.O." isn't even the first time he's worked with Miller. But since Miller's been thrust into the spotlight in the wake of last night's Twitter crossfire, we figured we'd take the time to explain just who exactly he is to y'all. You may even get a new favorite song out of it! Props to KanyeToThe for unearthing the Instagram pics you'll see throughout. A few people could be seen tweeting "Everything comes back to Atlanta" last night, and they were right. Today BET spoke with Steven Dingle, CEO of ATL-based management, marketing and consulting firm The Gloriam Group, who works with a bunch of artists, including Quentin Miller. 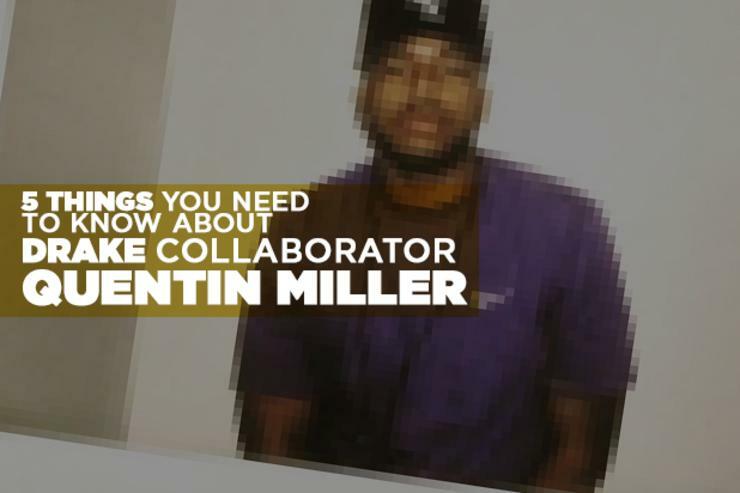 According to him, Miller is from East Atlanta and attended Georgia State University. “Atlanta is a small circuit," Dingle said, "You know, everybody knows each other. So, we been rocking with Mac and Quentin" ("Mac" or CoolIsMac, is in a group with Miller). In addition to writing for Drake, Miller still finds time for his own music. His duo with CoolIsMac, WDNG Crshrs, just dropped their most recent track a week ago. Listen to that one, "Poppn..." below. As a solo artist, he's even managed to score a beat from OVO affiliate Boi-1da, which came on "Cinematic," a cut from his six month old tape Hey! Thanks A Lot 2. 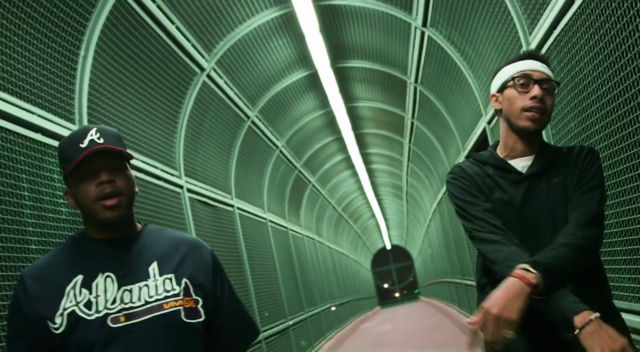 Miller got his first Drake writing credits on this year's IYRTITL, with his name appearing next to "10 Bands," "Know Yourself," "No Tellin," "Used To" and "6 Man" (this opens up the possibility of "runnin' through the 6 with my woes" referring to Atlanta's Zone 6 rather than Toronto, but that's just speculation). Drake's lengthy "thank you" note, included with the tape, mentioned a "QM," and it's now pretty clear to whom he was referring. 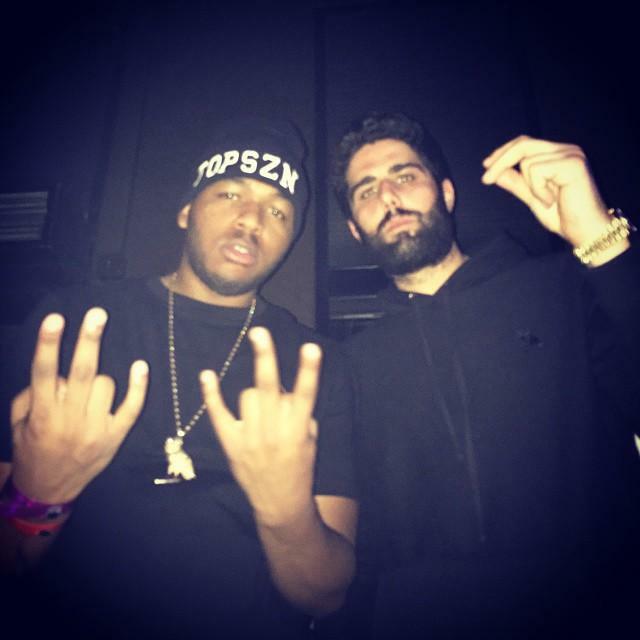 Maco also referred to Quentin Miller as his "friend," while Maco's manager Steven Dingle is also a friend to Miller. Adding to this, Complex claims that Maco and Miller will soon release a track together. 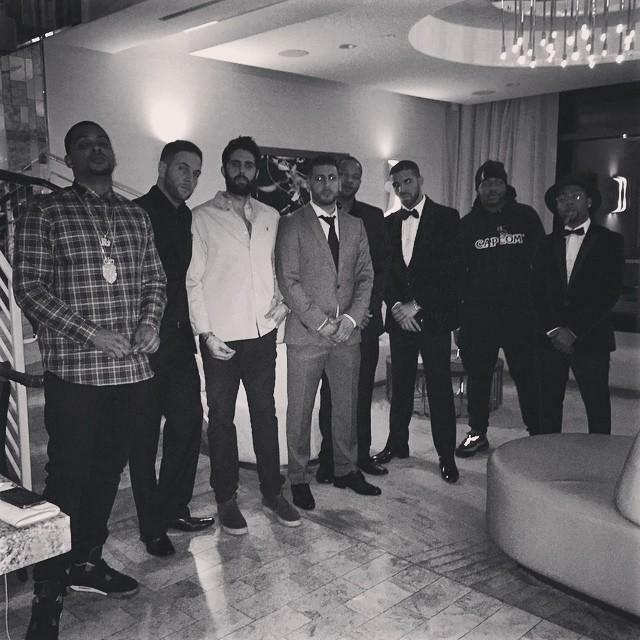 On the other side of things, Miller appears to be more than just a musical collaborator to the OVO crew, popping up in a number of Instagram pics alongside guys like OVO Ryan and Drizzy himself. The aforementioned KanyeToThe thread linked to a number of Miller's own IG posts and tweets, presumably ones showing further connections to OVO, but most of them have been deleted. Perhaps due to either contractual obligations or his own hangups, Miller seems like he's wanted to keep this connection on the down-low. Oddly enough, the only people seeming to remain quiet on this topic right now are Drake and Miller. Drizzy's silence is more understandable, as his Twitter presence is defined by sporadic tweeting, but Miller's seems almost eerie, as if he's been told to keep his mouth shut. He hasn't tweeted since Sunday, and his last IG post came in almost a week ago. The only sign of life either of them have shown is Drake liking a video by Krept of Krept & Konan on IG. In typical Drake fashion, this appears to be a sub at Meek, as the video shows Krept inside the Fader office putting a magazine with Skepta on the cover in front of one on which Meek's the cover star.